Rotary Club of Croydon Jubilee - welcome! Please scroll/swipe down through this page to find out more about us, in addition to the pages linked in the menu, top-left. Featuring the Nigel Garrard Orchestra and the Glenn Miller Countbasie & Ted Heath. Warlingham Rugby Club, Limpsfield Road CR6 9RB. Licenced Bar. Principal donation of profits to Alzheimer’s Society and rest to local charities. 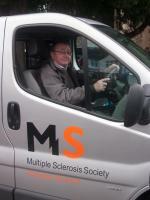 Club members are on a rota for driving MS members to fortnightly meetings and outings. Our club joins with others on providing opportunities for young people through Kids Out, the Rotary Youth Leadership Programme, and encouraging public speaking and debating skills through the Youth Speaks programme between schools. 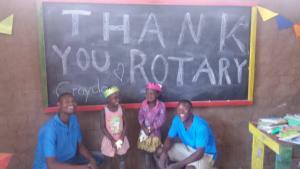 Fund raising is a key part of our Rotary activities. In April we have a car run, in May/ June we have a charity golf Day, and at much the same time we host a Big Band Night.At Christmas we rattle our tins outside Selsdon Sainsbury’s. Thank you for your interest in the Rotary Club of Croydon Jubilee. We are one of 7 Rotary Clubs in Croydon, meeting on Monday evenings for fellowship and working together to raise money for great causes, and supported by the world wide Rotary organisation. Our motto is Service before self. We have a number of events planned over the next few months. First off is this year’s classic car run on 28 April from Denbies Wine Estate in Surrey to the Brogdale Collections in Kent. The closing date is 24 April and you can see more details on our events page. On 5 May several members will take part in a sponsored 5k walk in aid of new paediatric cancer facilities at Croydon university hospital. After that we have our fourth Big Band Night on 14 June at Warlingham Rugby Club ( see events for further details). 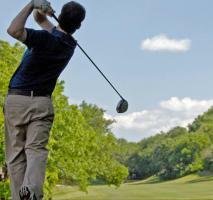 And for golfers we have a charity golf day in June. 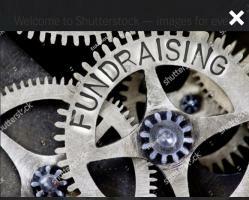 Funds raised go to local, national, and international charities and good causes. But it is not just about fundraising, we also offer our time to community work, in particular providing drivers and escorts to the MS Society Croydon for their fortnightly meetings and occasional outings, and the fellowship we share in our activities and our regular meetings. We continue to focus our fundraising on enjoyment, fellowship and sharing our ideals with all. Our Friends of Rotary initiative affords a chance for membership for an initial year at a reduced subscription of £25 a year, plus the cost of meals. There is a meeting every week for those able to come. New members , friends and visitors are always welcome.If you are interested in coming to visit this friendly and busy club, we meet on Mondays at Croham Hurst Golf Club at 7.30 pm. After a drink, the meeting begins with a meal at 7.30pm followed , at around 8.30, by a talk from a speaker. Once a month , usually the first Monday of the month, we have a business meeting to plan and review the activities of the Club. Once a quarter ( fifth Monday’s) we invite our partners and friends. We look forward to seeing you sometime soon.